Music has the power to restore, rejuvenate and transform . It can cause long forgotten memories to return or create new images that will be remembered for a lifetime. “Changing Colors” will conjure memories of first love (“Beloved”), the loss of a special loved one (“Tears”) or the power of moving to new places in your life (“Westward”). 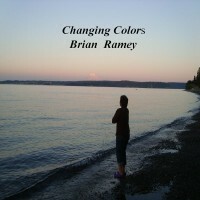 I hope you enjoy “Beloved” and the other songs on this CD and that you can get a glimpse into your life’s “Changing Colors”.